In nice weather, Brother Abdullah Abdur Razzaq can be seen seated outside his front door reading mail and engaging in conversation with passing neighbors. 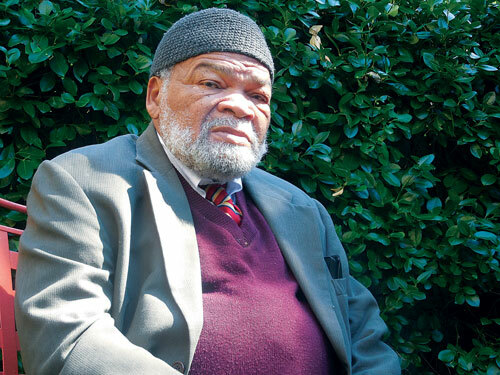 A longtime Brooklyn resident, few could imagine that Abdur Razzaq served as a most-trusted assistant to Brother Malcolm X in the critical last year of Brother Malcolm’s life spanning from March 1964 until February 21, 1965. The information that Abdullah Abdur Razzaq has to share is amazing. It is only logical that some of that information should appear in Our Time Press. I would like to thank Samad Abdur Razzaq for his assistance in completing this interview. Over the last few years, there has been a resurgence of interest about Brother Malcolm X. How do you feel about this trend? Malcolm’s vision, his target, his goal was so far ahead of the time in which he lived – and so beset with obstacles, contrary beliefs, practices and adversarial groups with contrary goals – that it has taken 50 years for the average person to clearly understand exactly what he saw. It is very rewarding to see that the passing of time has clarified his vision, purified it and made it valuable to those born after his murder. It is also depressing and heartbreaking that so few have retained, in our spiritual eyes, the vision Brother Malcolm gave to us, the realization of which our future destiny as human beings depends. Several recent books have been the driving force around the renewed interest. What was the nature of your interaction with the authors of some of these works? Most authors who wrote about him knew too little about Malcolm, The Nation of Islam (NOI), The Muslim Mosque Incorporated, or the Organization of Afro-American Unity (OAAU) to provide a clear and cogent picture of Malcolm. The facets of the power structure considered Malcolm a colossal threat and have been busy as bees to prevent any implementation of his vision. Most writers never met him and therefore were not directly exposed to his original thinking and mind-set. Tragically, some had the opportunity to meet and exchange thoughts with him but declined because they considered themselves intellectually and spiritually superior. Some try to bridge the gap, which the passage of time has reversed by writing about the Malcolm they despise. Most recent and past authors have had no interaction with me. Those that have interviewed me either lied or deliberately misquoted what I said, particularly if it were complimentary to Brother Malcolm. Do you think there is an attempt to alter the legacy of El Hajj Malik El Shabazz, Malcolm X? It is as though J. Edgar Hoover’s fear that a Messiah might arise among those of us descended from slaves and electrify us was still being implemented long after Hoover’s death. Unfortunately, there not only has been an attempt to alter the legacy of El Hajj Malik El Shabazz, Malcolm X, it has been notoriously successful. Just as descendants of slaves pulled the triggers that executed Malcolm, many of those who alter, distort and sully his legacy are descendants of America’s chattel slaves.